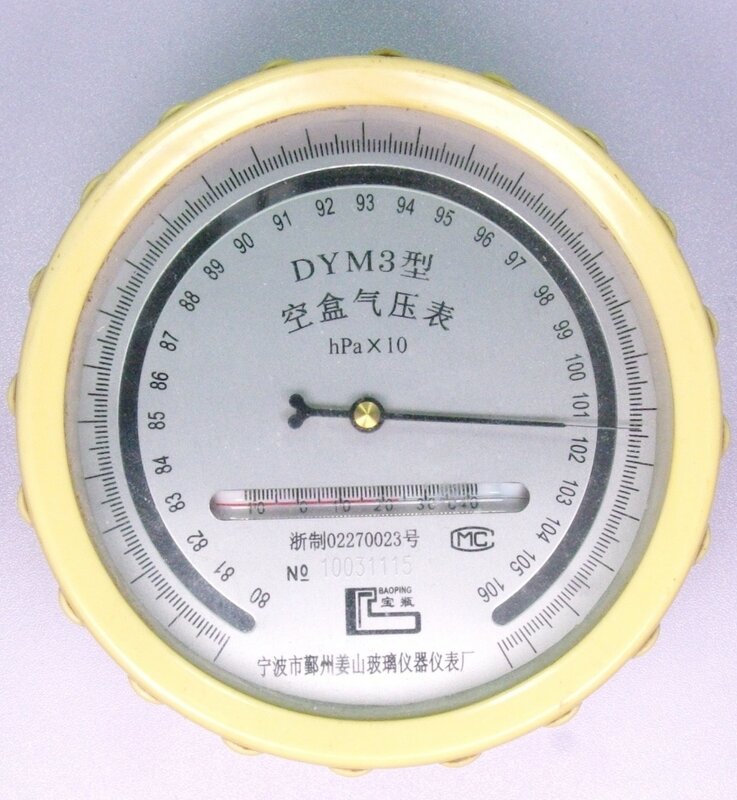 This is a Changchun DYM3 Barometer. The dial face says Baoping, which may be the Chinese city of manufacture. I'm not sure of the manufacturing date, a sticker on the side of the instruments has numbers 74 and 88 on it. 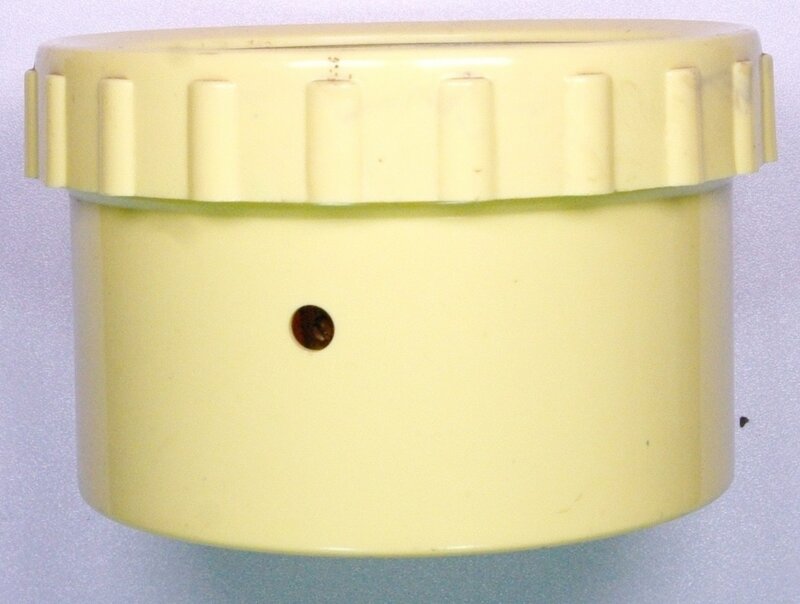 The dial face is approximately 4.5 inches in diameter. It has a Celsius spirit thermometer on the face. The instrument case is plastic but the lens is glass. It's rather accurate for a relatively inexpensive instrument, but the wide pressure range means the pressure scale isn't very readable. If anyone has more information or can translate the Chinese characters on the face, please email me. This model is still shown on the Changchun website. Go to Changchun catalog page.